The two artists had collaborated on the track ‘Get It Together’ last year and since then, fans had been wondering if they had more music in the stash. 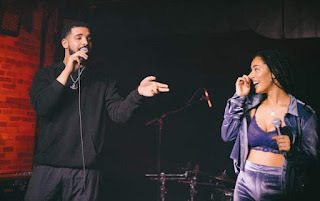 As you must be remembering, there have been rumors on social media that Drizzy had a thing for the 21-year old English singer. A snippet of ‘I Could Never’ was out in May but the full song is now here for your listening pleasure.